Anne of Avonlea. AKA "Anne of Green Gables: The Sequel". HD Wallpaper and background images in the Anne of Green Gables club tagged: colleen dewhurst screencaps anne of avonlea megan follows jonathan crombie. 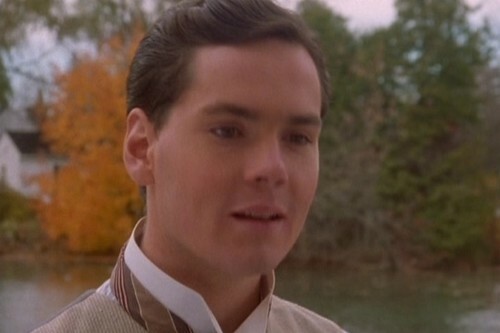 This Anne of Green Gables Screencap contains completo and vestito di affari. There might also be vestito, vestito di abiti, and vestito dei vestiti.